PROGRESSIVE Teachers' Union of Zimbabwe (PTUZ) has petitioned the High Court seeking an order to reverse last month's 150% fuel price hike made by President Emmerson Mnangagwa, arguing that the move was illegal and unconstitutional. PTUZ filed the urgent chamber application alongside its secretary-general Raymond Majongwe, who filed in his personal capacity, while Mnangagwa, Finance minister Mthuli Ncube, Energy minister Joram Gumbo and the Zimbabwe Energy Regulatory Authority were cited as co-respondents. The move to petition the court followed Mnangagwa's announcement of new fuel prices on January 12 2019, making the commodity the most expensive in the world. "This is an application seeking a provisional order and then a final order to set aside all recently ordered fuel price rises on the grounds of being patently illegal and also unconstitutional and of irreparable harm to us and others," Majongwe said in his founding affidavit. In his proclamation, Mnangagwa pegged the price of petrol at $3,36 from $1,32 and diesel from $1,24 to $3,11. The fuel increase however, led to violent protests, which resulted in extensive damage to property and looting. A brutal military crackdown, which ensued, resulted in the death of 17 people, torture and arrest of thousands. "These increases made our fuel the most expensive in the world by a long way overnight, as can easily be confirmed from globalpetrolprices.com. We later found that the Presidential statement on fuel prices was not binding in law, but merely set as a policy. We have also found out that for all law-abiding citizens our fuel prices before the increases were already higher than the fuel prices for all of our neighbours," Majongwe said. "We also later found out that two Statutory Instruments (SI) were published in an extraordinary Government Gazette on the same day as the President's statement. The two SIs were apparently meant to give legal effect to the President's Press announcement, with the Minister of Finance increasing duty on petroleum products, while the Minister of Energy prescribed new pricing formulae for these." 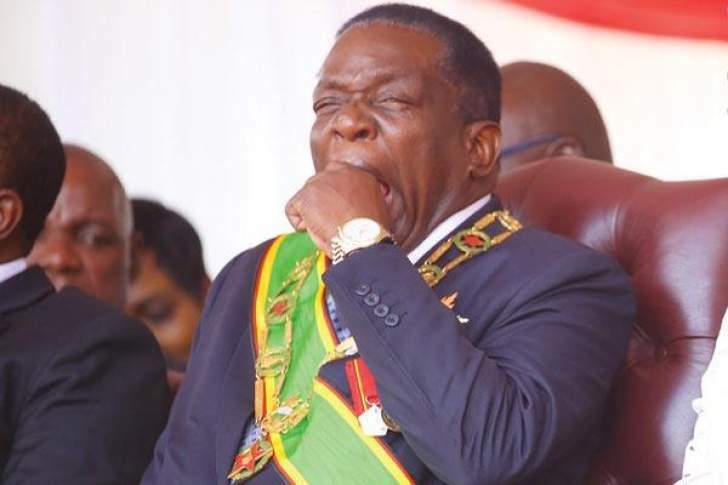 Majongwe further said Mnangagwa failed to take into account that some fuel dealers had paid duty at the old rates, which they still had in stock, resulting in them raking excessive profits. "The price increase the President ordered for petrol also exceeded the combined rises in margins and duty per litre on pure petrol. SI 9 hiked duty on leaded and unleaded petrol by 186 cents per litre from 45 cents to 231 cents. Dealer margins were increased from 12 cents in all under SI 100 of 2015 to 25 cents in all under SI 10 of 2019. This gave a total of 199 cents per litre in increases, if the petrol being sold here as 'blend' is in fact entirely imported, yet the president ordered an increase of 207 cents in the petrol price," he said. "This application reveals compelling reasons to recognise that the government order to increase fuel prices was manifestly illegal and that the statutory instrument increasing excise duties published by the Finance minister, which underpinned and necessitated the price hikes, was manifestly ultra vires…"